Grace United Methodist Church Newport News, VA Celebrating God's love, seeking God's direction together. enjoy fellowship and pray together, and study the Bible. ATTENTION ALL KIDS AND YOUTH . . .
We have been serving the Newport News, Virginia community for over 60 years. Grace Church has two Sunday morning services. Our early, praise service, begins in our chapel at 8:45 a.m., and our traditional worship service begins at 10:00 a.m. We have a variety of Sunday School classes at 9:45 from September - June, with nursery care available at all of these times. Directions and contact information can be found on the links to your left. Being Christian involves being shaped by the language of the Christian tradition, including the Bible as the foundation of the tradition. Some people in this church understand Christian language quite literally and factually. Others understand it more symbolically and metaphorically. What we share is a common passion for the more-than-literal meaning of the stories and teachings that shape us. 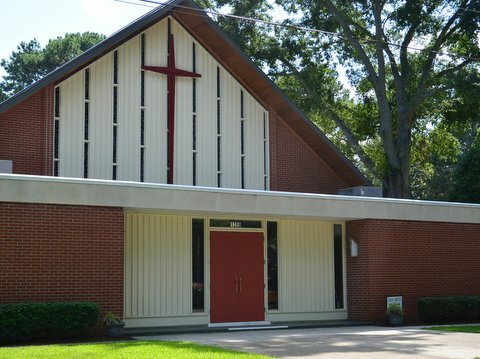 Grace United Methodist Church celebrates God's love by welcoming and caring for one another. and by following Christ's example of humble service. We also have a Preschool and Play to Learn program which operates during the week in the Children's Wing. Please click on the links to your left to discover the other ministries of this church or feel free to contact us.